HomeBlogEyeglassesPolycarbonate vs High-Index Lenses – Which One Should You Go With? Whenever you go to purchase your prescription glasses whether it be online at the local optical retailer you are often faced with the decision on what kind of lenses you should get. These lens options usually include plastic, glass, polycarbonate, trivex, and high-index. Do You Have To Get Polycarbonate or High-Index Lenses? Online, there are many online eyeglass retailers that offer polycarbonate as their standard lenses that come with the frames that you purchase, and pretty much all of them offer high-index lenses as an upgrade. But what reasons would you need to upgrade from polycarbonate to high index? Below you will find a breakdown of each material so next time you make your eyewear purchase you can make an informed decision between polycarbonate vs high-index lenses. Always remember that lenses with a higher index of refraction are thinner, lighter, and have less distortion (thicker lenses tend to have more distortion). Therefore if you have two lenses with the same power, the lens material that has a higher index of refraction will always be thinner. Standard plastic lenses have an index of refraction of 1.50, and glass lenses have an index of refraction of 1.52. Polycarbonate lenses have had a long history of usage in other industries such as for the cockpits in fighter planes, space shuttle windshields, and astronaut helmet visors. 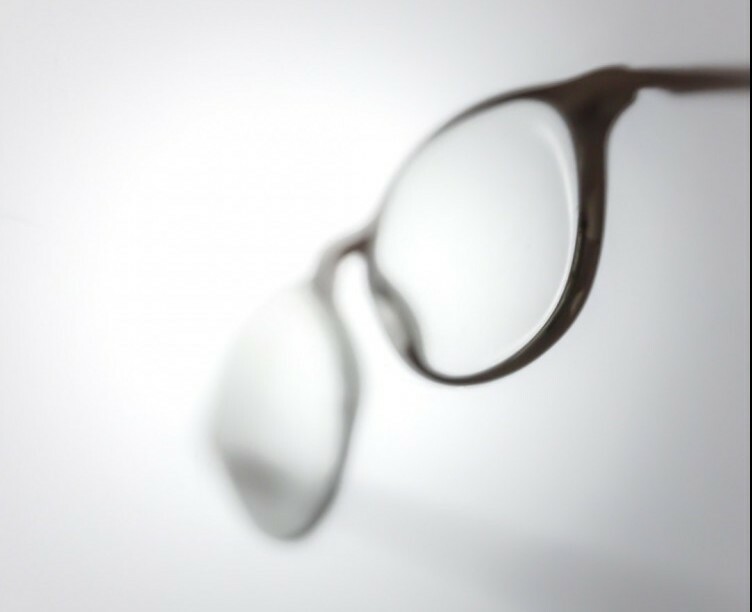 In response to a demand for materials for eyeglass lenses that were lightweight and impact-resistant polycarbonate was introduced into the optical world in the 1980s. Today polycarbonate is the standard lens material for many online eyeglass retailers, and they are standard in all children’s glasses, safety glasses, and sports goggles. Polycarbonate lenses have an index of refraction of 1.59, and will generally be about 20% thinner than standard plastic lenses. Polycarbonate lenses also provide you with protection from 100% of the harmful UV rays from the sun. As an optician, I always recommended people with prescriptions anywhere between +/-0.50 to +/-4.00 to go with polycarbonate lenses. These lenses provide you with a durable and impact-resistant lens that is perfect for anyone, but especially if you are an active individual. High-index lenses generally are recommended to individuals who have stronger prescriptions, so that they have the thinnest, lightest, visually appealing, and most comfortable pair of eyeglasses that they can buy. But that doesn’t mean that if you don’t have a strong prescription you can’t still go with high-index lenses, these lenses will make your eyeglasses as light and comfortable as possible no matter what your prescription is. High-index lenses have an index of refraction that starts at around 1.61 and can go as high as 1.74. These lenses are perfect for anyone with stronger prescriptions, but not only limited to just those individuals. Even if you have a weaker prescription but you just want your glasses to be as light as possible, high-index lenses would work for you as well. I always recommended anyone with a prescription higher than +/-4.25 to go with a high-index lens to make their lenses are as thin as possible. This is especially true for anyone who is using a metal frame which exposes more of the lenses due to the thin frames. For anyone that has a prescription that is stronger than +/- 7.00 I definitely recommended going with the 1.74 high-index lens material which has the highest index of refraction to provide you with the thinnest possible lens. Technically you do not HAVE to get polycarbonate or high-index lenses after all these materials haven’t always existed. BUT, you must keep in mind that whenever you have a strong prescription and you decide that you want to go with a lens that has a lower index of refraction such as plastic, you will be able to see, but your lenses are going to be thicker. Whenever you have thicker lenses, this creates more optical distortion in your lenses, which leads to unwanted eyestrain and becomes more bothersome the longer you wear those glasses. The few exceptions to this are children, who need to use polycarbonate for the added impact-resistance since they are active and need the added safety. Speaking of safety, individuals who use safety glasses or sports goggles also need to be in polycarbonate lenses due to its impact-resistant properties. Thinner and lighter weight lenses also benefit individuals who have strong farsighted prescriptions, which are thicker in the center of the lens and can be quite heavy for strong prescriptions. Cosmetically for farsighted people, it would reduce the amount of the magnified large bug-eye look that comes with having a strong farsighted prescription. There is no lens material that lets 100% of light pass through it. There is some light that is always reflected back off of the lens surface, which could cause annoying distractions, and lens flares reduce your clarity at night time. High-index lenses could reflect much more light than standard plastic and glass lenses, which means if you want to be able to have the best optical clarity out of your high-index lenses you will need to add an anti-reflective coating to your lenses. Most retailers will have their high-index lenses already prepackaged with anti-reflective coating, but some you will have to purchase it separately. A high-index lens with anti-reflective coating on it will let up to 99.5% of the light pass through to your eyes giving you the best optical clarity and vision out of your glasses. Having anti-reflective coating on your lenses not only drastically reduces the reflection of your lenses, but could provide you with better clarity and sharper vision for your nighttime driving. At the end of the day, the lens you might end up going with might be dictated ultimately by what your budget is. There are many reputable online retailers that offer polycarbonate without anti-reflective coating so there should be no reason why you shouldn’t at least get polycarbonate. Retailers such as Warby Parker offers an upgrade from their polycarbonate to high index for only an additional $30 so there are inexpensive options. If any of this still sounds confusing to you, and you have any questions feel free to drop a comment below, or you can use the contact form to send us a message and we will get back to you as soon as we can. Hello Huy. Thanks so much for sharing your opinions and thoughts about polycarbonate vs high-index lenses. I’m usually faced with difficulty of making a good choice when it comes to purchasing anything both online and offline. This article will guide me through on the right lenses I should for. I’d go for Polycarbonate Lenses due to its ability to protect the eyes from 100% of the harmful UV rays from the sun because I walk alot. Hi there Barry, polycarbonate is definitely a great choice. That was always my go to recommendation regardless of prescription, the added impact resistance is great added protection. With so many eye injuries happening all the time it is good to be extra protective about our only two eyes. Thanks for stopping by! Thanks a lot for the great comparison on Polycarbonate vs High-Index Lenses. I got new insights from your helpful post. My wife and I use eyewear but to be honest we are not aware there are so much things we need to know. We just purchase it in the near by shop. Through your post I learned about Index of Refraction and high-index which is very helpful. Your recommendation based on the prescription is very helpful in our purchase decision. Hi there Paul, thanks for stopping by. I am glad you found the information helpful! There are many different options when it comes to eyewear. At times you may be limited to what the retailer of your choice carries, but there are many options when it comes to eyewear. I personally don’t wear eyeglasses although can imagine that lighter weight lenses would be much more preferable. As well as having a thinner lens especially with the more fragile and dainty frames. If I did wear glasses I think it would be an automatic upgrade for me. If ever I do end up needing glasses I will have a little more knowledge on the lenses. Thanks for the info. Hi Christine, thanks for stopping by! Glad you found the information helpful to you. I am happy you found my information helpful! I can’t imagine how heavy glass lenses would be for that kind of prescription, luckily there are much lighter lens materials these days. Thank you so much for stopping by!